Almost 100 volunteers have registered to organize commemorative events on June 21 at the former yellow-star houses. We thought it a good time to get together, introduce ourselves, discuss our experiences to date, and share ideas and plans with one another. 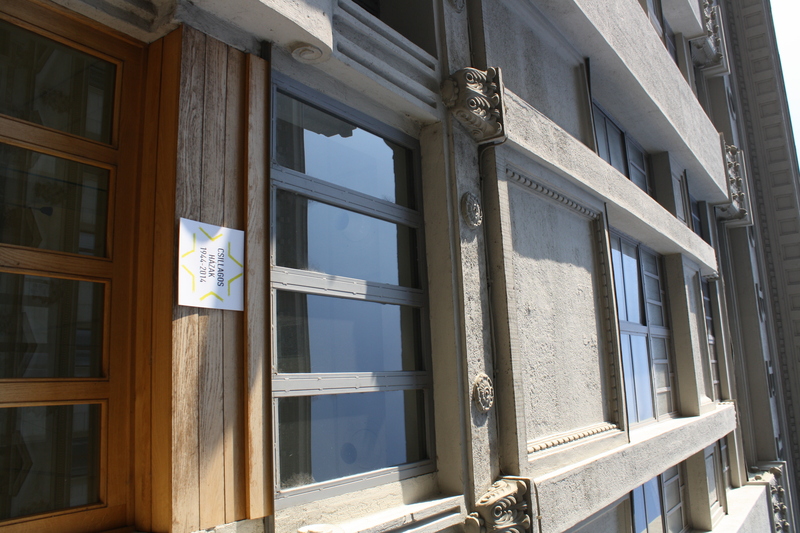 On June 21, 2014, the seventieth anniversary of the forced mass relocation, we are planning commemorations in front of the remaining 1,600 former yellow-star houses in our city. These commemorations will involve the people of Budapest, the artists and directors of cultural institutions, theatres, and public organizations which are today housed in former yellow-star buildings—and of course the houses themselves. The central aim is for this 70th anniversary, which affects all of us, to be made clearly visible, if not unavoidable, for everyone who lives in Budapest today. June 21 also coincides with this year’s annual “Night of the Museums” festival. We are working together with many prominent museums and cultural institutes to commemorate the 70th anniversary as an integral part of the museums’ public events on the day. Our partners include the Hungarian National Museum, Budapest History Museum, Petőfi Museum of Literature, Capa Contemporary Photography Center, National Archives of Hungary, Budapest City Archives, Goethe Institute, Cervantes Institute, and the Polish Institute in Budapest. Our plans also include a special memorial concert by the Budapest Festival Orchestra at the end of the day, on Heroes’ Square. We would like every single house to be part of the program: let none of the yellow-star house residents or their tragic fates be neglected! Location: OSA Archivum, Arany János Street 32. Közel száz háztól jelentkeztek eddig a megemlékezések megszervezésére. Úgy érezzük, itt az idő egy találkozóra, ahol bemutatkozhatnánk élőben is, megvitathatnánk eddigi tapasztalatainkat és megoszthatnánk egymással ötleteinket és elképzeléseinket. Találkozzunk szerdán, május 7-én 18.00-kor az OSA Arany János utca 32. sz. alatti épületében.